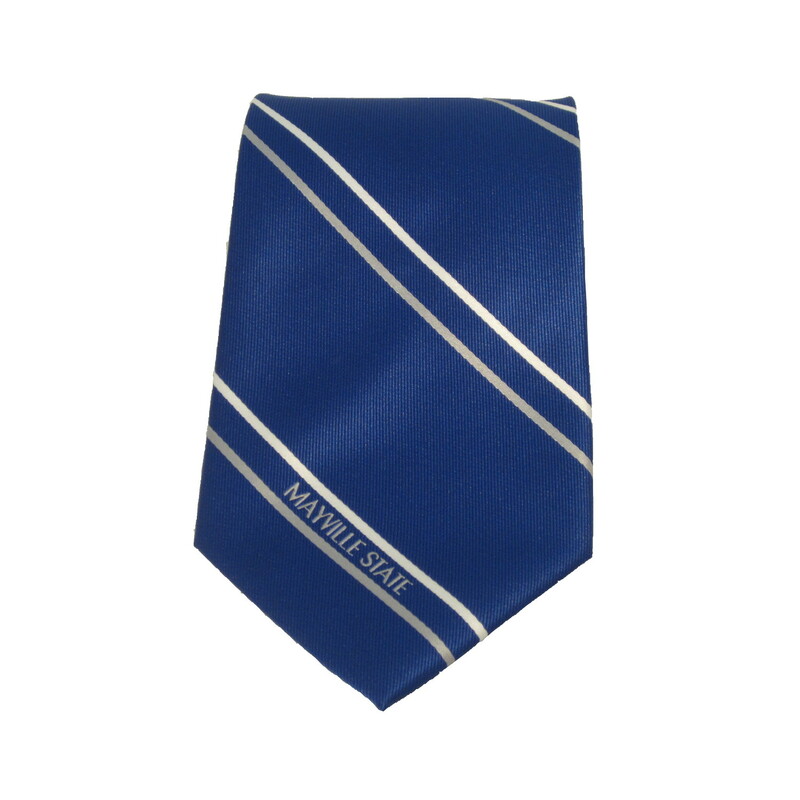 Royal tie with white and grey stripes and an embroidered Mayville State design from JARDINE. 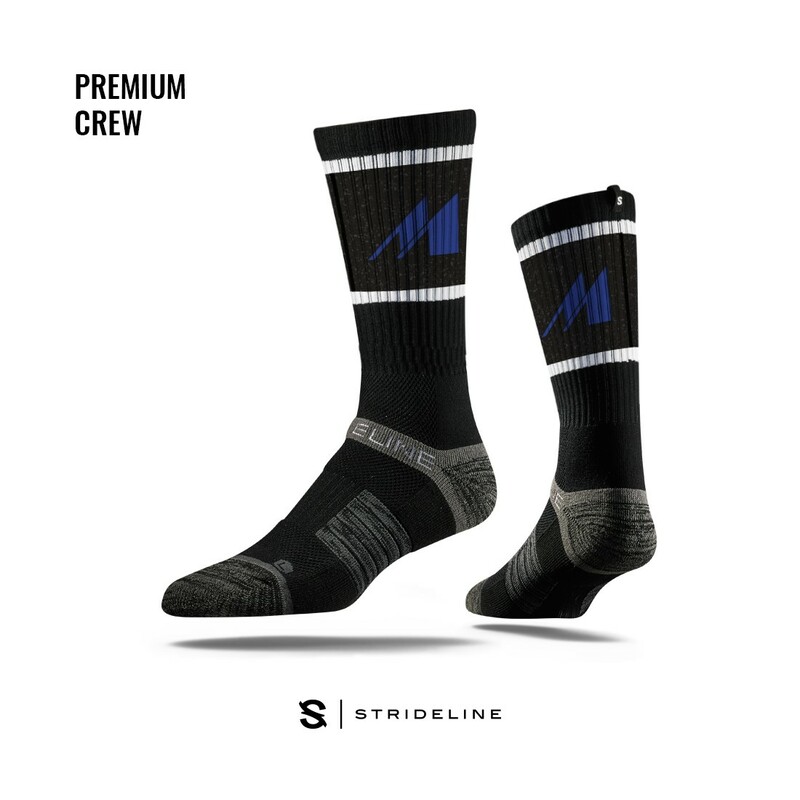 Black crew sock with the ACTION M design on the cuff from STRIDELINE. 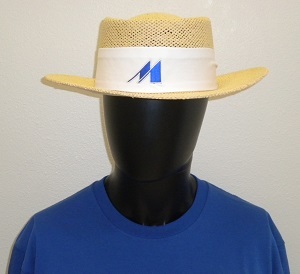 Straw clip visor with an embroidered MSU design from LOGOFIT. 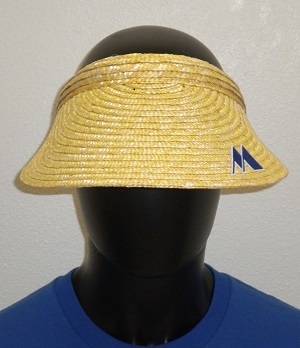 Woven paper straw wide brim sun hat with an embroidered MSU design from LOGOFIT. 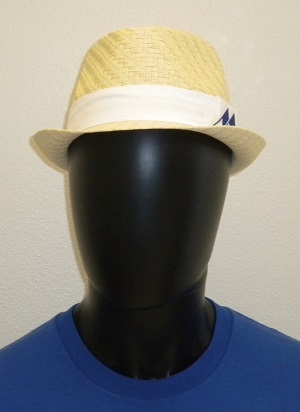 Geometric weave straw fedora with an embroidered MSU design on the band from LOGOFIT. 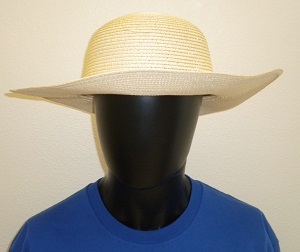 Twisted straw gambler hat with sunblock lining and flex-fit band from LOGOFIT. 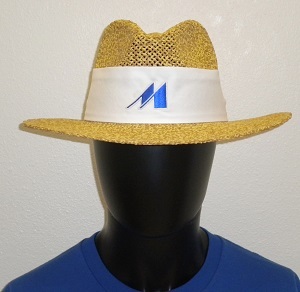 Outback boonie hat with Scotchgard Moisture Management and CoolMax lining with an embroidered MSU design from LOGOFIT. 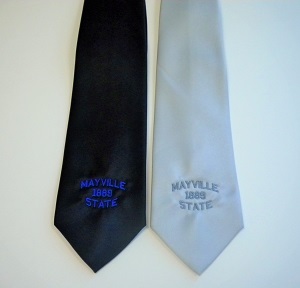 Neck tie with an embroidered Mayville State design from SPIRIT. 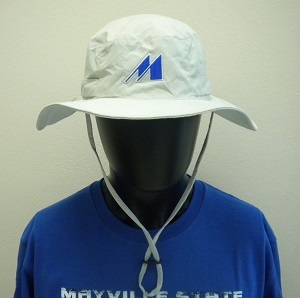 Available in silver (grey) or black. Please select option for NECK TIES. 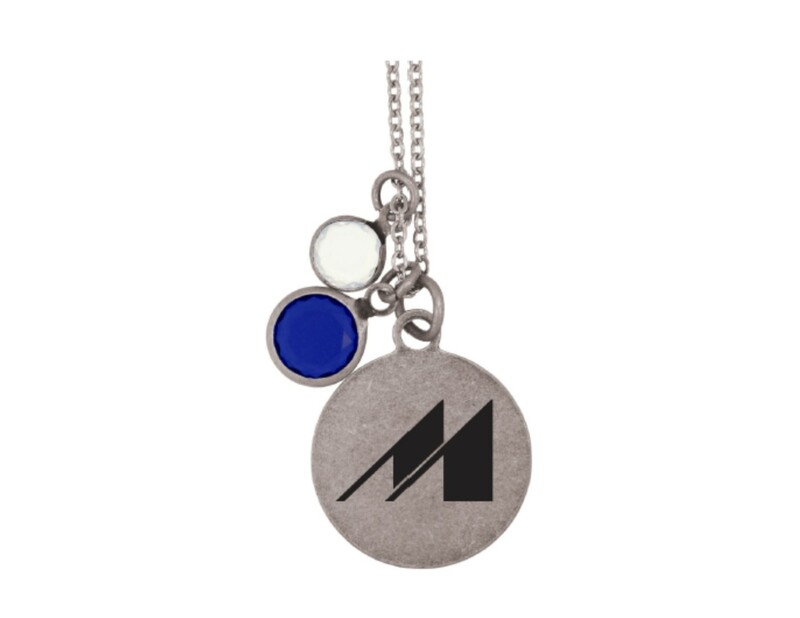 This necklace features an antique silver finish and includes one clear crystal and one blue crystal charm next to the larger silver charm with the Action M engraved on it from LASER ENGRAVED GIFTS.